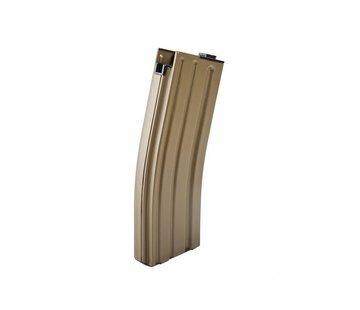 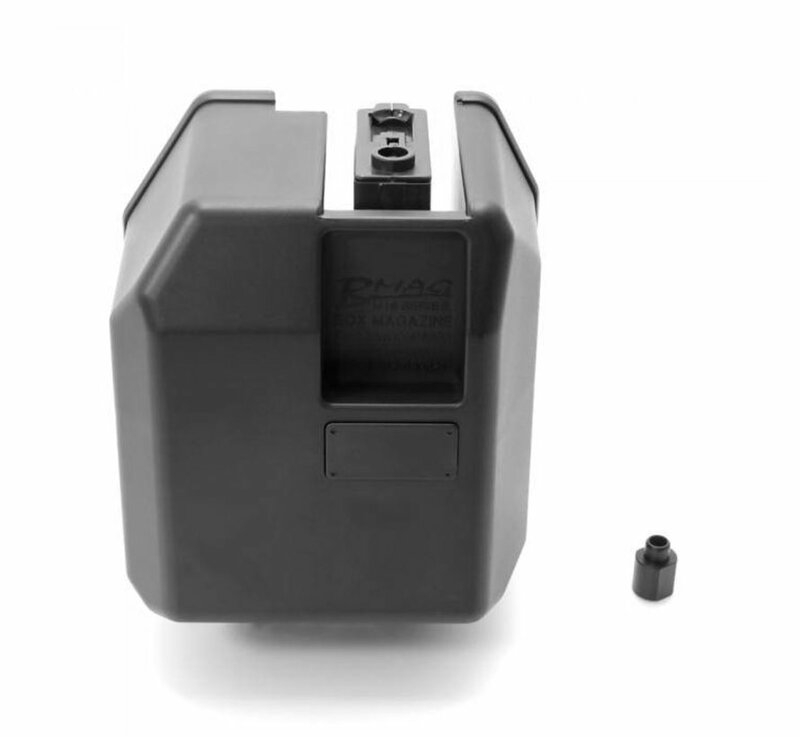 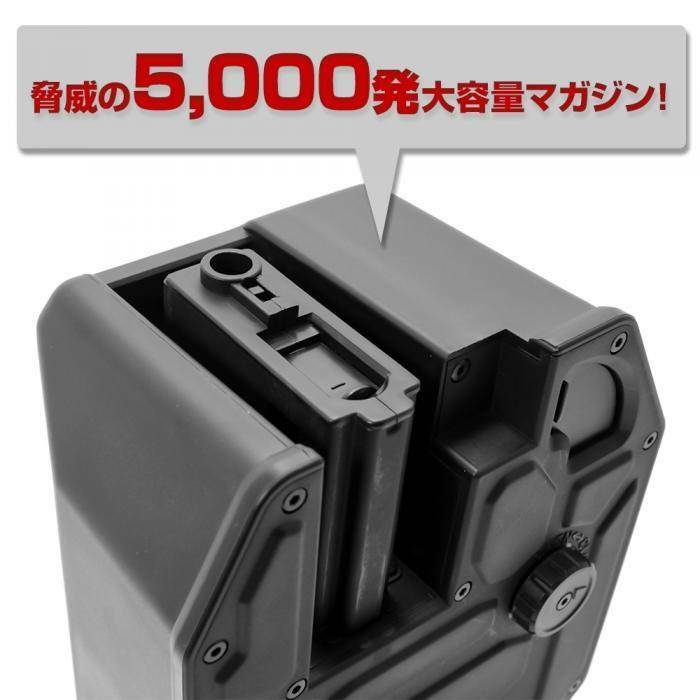 Laylax/First Factory M16 BOX Magazine (With NEXT-GEN M4 Adapter). 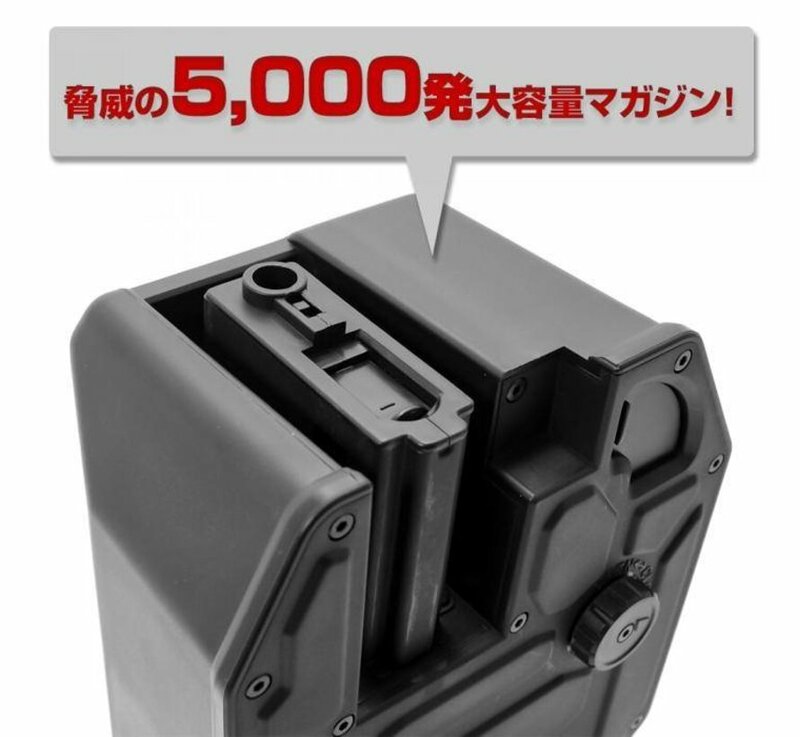 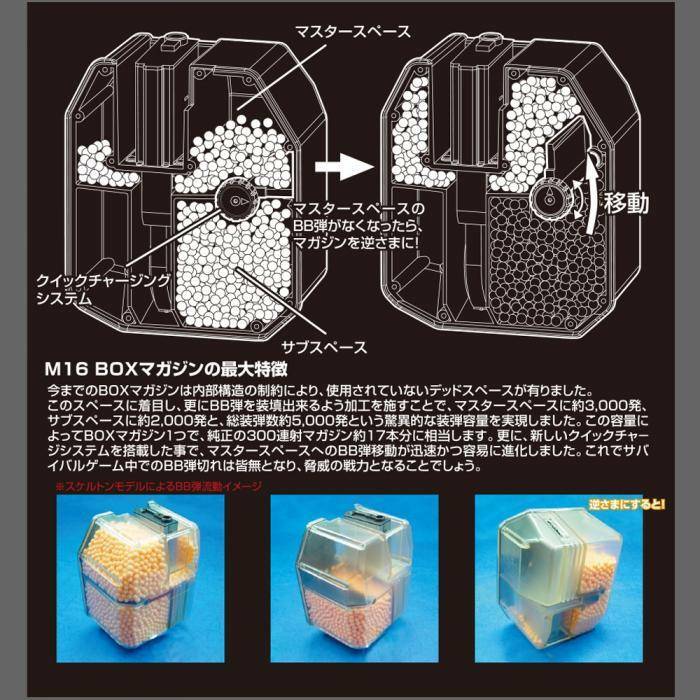 It has the BB bullets feeding mechanism so you never need to worry about running out of BB bullets in the game. 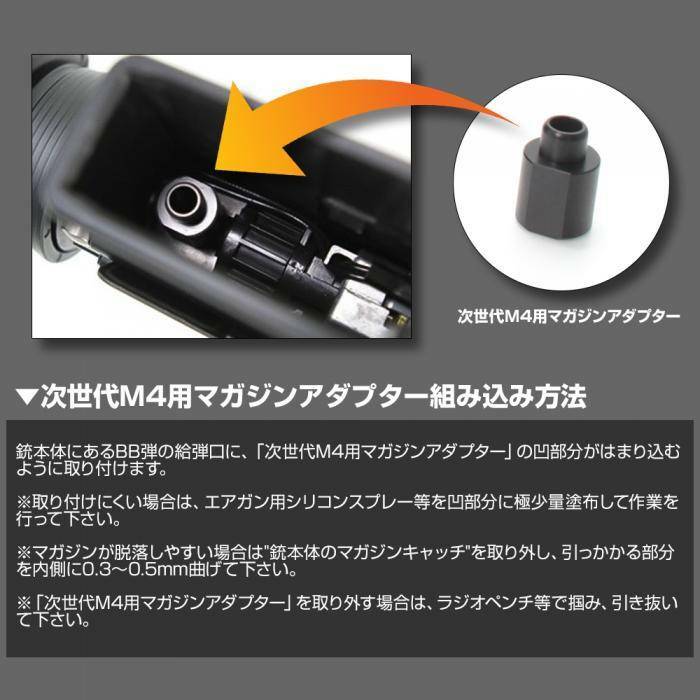 You can easily reload the BB bullets from the same position as the 300 rd magazine for M4 / M16 and the upper right of the main body. 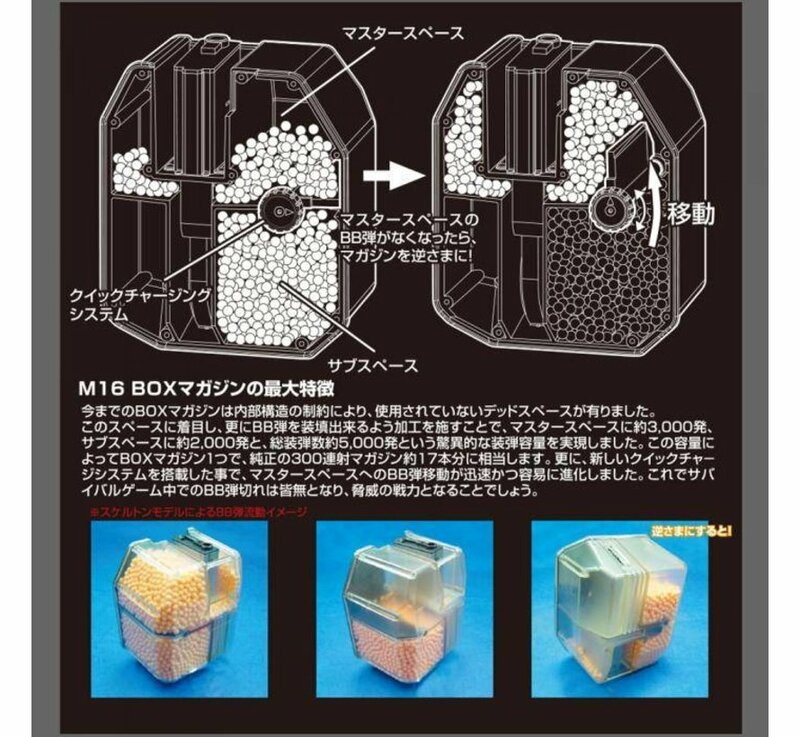 By operating the "OPEN/CLOSE" knob, you can move BB bullets into the sub space. 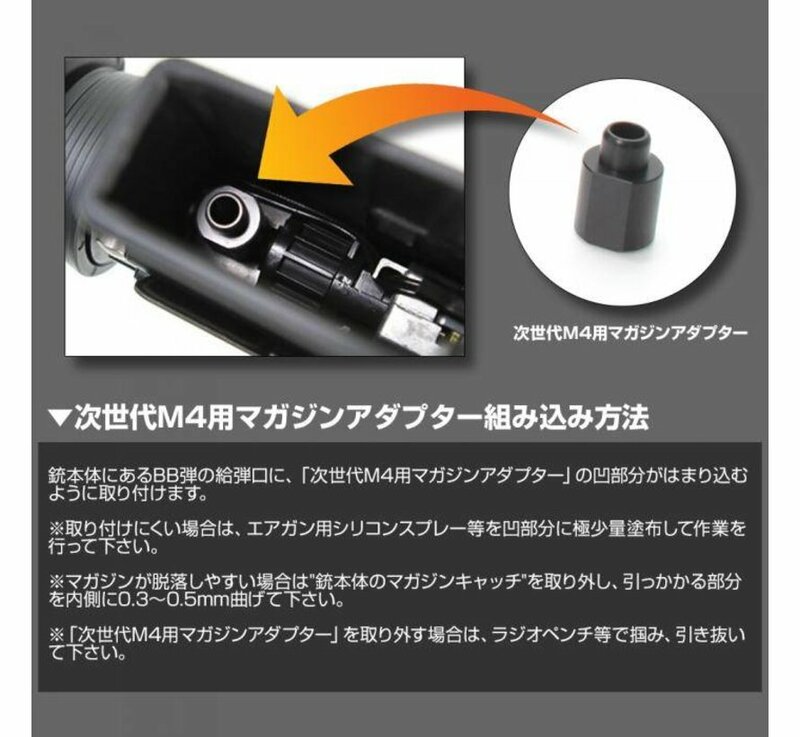 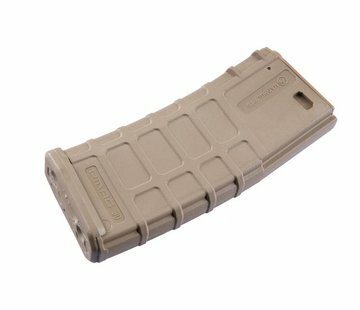 Includes a TM Magazine Adaptor for Next Gen. M4.